I spend an unhealthy amount of time trying to figure out what makes a cracker a cracker, and how to drum up whatever I have most recently concluded at home. Is it a two-ingredient mix of spelt (or other) flour and water with some seeds on top? An olive oil-brushed flatbread with rosemary? A cheese straw rolled thin and flat? Need it be something sturdy and neutral enough that you can spread cheese or tapenade upon it? Is it acceptable if it is too tender, rich and loudly flavored to have anything piled on its belly? Nevertheless, this here is my latest attempt at creating something cracker-like that you can put out instead. More entrenched in the “tender and flavorful” than the “sturdy and neutral” camp, we had a bite of these and instantly concluded that I had made better, more delicious Cheez-Its. (Which is great, as I don’t like them either. This makes me some sort of cracker communist, right?) Docking them with a fork allowed the release of air so that they stayed more crisp and less puffy, and baking them until they are nicely browned on top kept them from being too tender for a schmear of tapenade or another spread. However, they stand so well on their own that I’m not sure I’d bother adding more richness to them — I mean, pudgy rubber band wrists are really only cute on the infant set. Maybe I’ve mentioned this before but I like The Minimalist column quite a bit for Bittman’s ideas and low-fuss approach to cooking, but when it comes to the execution of these ideas, I need a lot more detail to make them work. In this case, the recipe itself makes delicious crackers but I found rolling the crackers the recommended 1/2-inch thick to be still too thick, that they required docking to keep them from being little puffers and that I got the best browning from making them as individual crackers, not a large one scored. Below is the original recipe with my adaptations. Coarse salt, pepper, sesame or poppy seeds or whatever you like for sprinkling (optional). 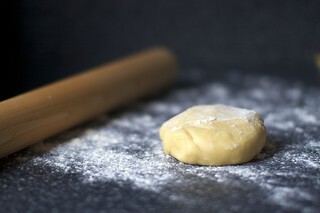 Roll out dough on a lightly floured surface until 1/4-inch thick or even thinner, adding flour as needed. From here, you can either form them into individual crackers (I went for 1 1/2-inch squares cut with a fluted pastry wheel) and bake them an inch apart on your baking sheet (the method I used) or transfer the entire rolled-out sheet to your baking sheet (draping it over the rolling pin will make it easier) and score them lightly with a knife, pizza or pastry wheel to break into crackers after they are baked. For either method, dock all over with a fork and sprinkle with salt or any other toppings you are using. Bake until moderately browned, about 12 minutes. Cool on a rack; serve warm or at room temperature or store in a tin for a few days. Note: Mine were the most crisp before they’d been kept in a container. If you’re baking them less than a day in advance, I think they can be left uncovered to maintain their best texture. Those look perfect! I love little crackers like that and I agree that it is better to bake them as individual crackers rather than a single sheet. I like the brown edges. All that yummy flavor! Will you marry me? It may be against the law in so many states and in countries across the world, but Deb, you sure have outdone yourself! My ex couldn’t cook or bake for her life. Even a simple chocolate cake recipe of mine was made into charcoal…. I really need to find a girlfriend who shares the same passion for food as I do! These look delicious!! I’d never really thought about making homemade crackers…but man, such a good idea. Crackers are usually so bland..where basically slathering them with dip or cheese is completely necessary…these look mouthwateringly good on their own! So I’m pretty sure that I will be making these tomorrow. Since I don’t have a food process (shocker, I know!) I’m just going to make them in my stand mixer like I did with the chocolate wafer cookies. Susan — It is like a pie dough, but unlike pie dough, where you try to keep the butter from getting too mixed in so it stays flaky, you mix the dough really well and then some here to intentionally make them more solid. Vasilli — Not shocking. Try not to let too much air get into them, or they could spread. Otherwise, it should work fine. these look scrumptious. But, blasphemy though it may be, I am not a fan of parmesan or the like. Do you think I could make them with a very sharp, aged cheddar? Or would that cheese be too soft? This recipe is so similar to a rich pie dough that I imagine that it’s best the day it’s made. I think the fat in the butter and cream would soften them if they have to wait a day or so. It looks quick and simple enough to do it the day you need it. Thanks, Deb. I am so making this!! These look fabulous – I’ve never made anything like it. What delightful little crackers! Thank you so much for the recipe! i can pop about 20 of these in my mouth right about now. thanks for the recipe. I must try it out someday. Wow..i want to bake these soon. Do you think i can replace the parmesan cheese with cheddar instead? When I had a baby, crackers were about all I could think of too. Oh, and cookies. And occasionally, after a decent night’s rest, chicken. I hate table water crackers, too. Thank you so much for saying that. Are these shortbread-like or lighter? 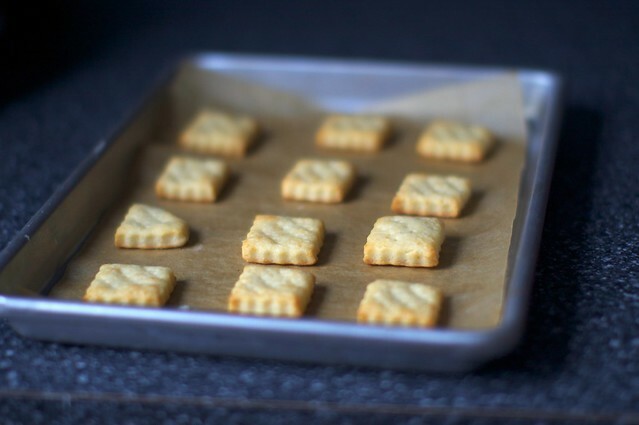 I find every cracker recipe I’ve tried ends up being more like a savory shortbread than a crisp cracker. Want a crisp cracker? mix 2 cups flour (I used plain, you can use 1/2 cup wholemeal though) with a teaspoon of salt, 3 tablespoons olive oil and about 3/4 cup of water until combined and in a sort of ball. Let stand for 10-15 mins. Cut dough into three and roll out as thin as you want. Transfer to lightly greased baking sheet (or one with baking paper), score (cut if you like a defined shape or score for more rustic crackers), brush with water and press in your favourite topping. Toppings I tried: salt + sesame seeds; finely chopped fresh rosemary and thyme with a bit of salt; grated parmesan cheese; plain salt (note – better to use a rock or sea salt than iodised/table). Bake for 10-15 mins at 200* C. When cool they simply snap apart. I don’t have a food processor, and I used a pastry blender successfully. The pastry blender also helps if you’re looking for a lighter, flakier cracker that resembles a crisp pie crust but tastes like a cheese cracker. I’ve been waiting for your recipe ever since you posted the gorgeous photos on Flickr! I’m going to make these soon. Wondering what spelt is though – must find out if it is available locally. OOOh! My family made a sweet version of these called cream wafers. . .same dought w/o the cheese and rolled to about 1/8″ and sprinkled w/sugar then sandwiched together w/buttercream frosting. I never thought of making a savory version — what a great idea! Wow. They’re so easy to make, and they are beautiful! Thanks for posting such a good recipe. These look divine! Parmesan is hideously expensive here so I’ll have to pile up a few recipes with it – such as Pioneer Woman’s stuffed mushrooms, which I made once and LOVED, and then sold the rest of the cheese to recoup some of the costs. But with several recipes, I can make them all in a week and use up the cheese (or freeze some of it? )… I actually love Better Cheddars or, if I can’t get those, Cheese Nips, but I can’t get either in China so I’m going to make these! Does it really work with a blender rather than a food processor? Though hopefully I have a processor by my next free week, which probably won’t be until spring break. Can you include “cracker” as a sub-section of your recipe archive? Ctrl+F works too; it would just be that much quicker! I also think table water crackers are awful. I remember the first time I ever heard of them and was told they must be on the party table and boy, was I ever disappointed. I don’t really know anyone that actually likes them. your crackers, however, look spectacular! OK, you’ve shamed me into trying to make my own crackers. These do look yummy and extremely dangerous. I don’t buy Cheezits because of all those artificial ingredients. A natural Cheezit would be too hard to pass up! This post is just a bit too Martha for me. Those who have asked about the texture — “Tender and flavorful” as I’d mentioned… more Ritz, less crisp flatbread. Not as crumbly as shortbread (a “cracker” I too have seen often, and don’t buy as a cracker), especially if docked well and baked until browned. Foodie — It seems I get this “too Martha” comment from time to time, for example when I made marshmallows, caramels or a wedding cake, as if some home cooking is okay but the other kind is… what? I’m curious. These look delicious and very pretty! These sound delicious! I’m usually making super think crispy flatbreads as crackers. I can’t wait to try these. Your crackers are beautiful. I have made several crackers in our cooking classes but shape them into a log and slice them after refrigeration…. similar to a sugar cookie dough. The square ones with the docking are so much more neat and precise. I can’t wait to try these in one of our upcoming appetizer classes. The combinations are endless. We have used gruyere, cheddar and goat cheese with great success. Thanks for the inspiration. Ooh, yum. I’m imagining how tender and delightful these are. You said you likened them to Cheez-its? I imagined them being a Parmesan-y Ritz. Either way, yum! Only 1/2 cup of cheese and they taste better than Cheez-Its!? Un.Real. Side: In my opinon, it feels too ‘Martha’ if there are extensive steps/pots used and non-everyday tools are involved (ie pastry wheel). Even though, the results do look gorgeous! I save my wanna-be-Martha projects for the weekend when there is more time… or after I get some new gadgets. You made my day! These will be coming with me on vacation next week! You may have convinced me to break my cheez-it habit! I appreciate the alliteration, but I imagine that a “cracker communist” would insist that all crackers are, in fact, equal, and that everyone should be happy with exactly the same crackers as everyone else. “Cracker Nazi” sounds overly harsh, especially given a certain colloquial use of the word “cracker.” I believe you may be a Cracker Zealot. These look very good and I do love crackers. I am more of a savory person than sweet. Very beautiful photography! ooh. perfect. i have leftover half and half waiting in the fridge! sounds fun. and as for the “too martha” comment…i think people are just overwhelmed by making something like crackers or marshmallows but i’m always amazed when i try something at how simple it is. for me it was bread, but with a few awesome smitten kitchen recipes…i think i can make anything now! thanks for another recipe to add to my “to make” pile! I just have to say that this is a really wonderful website!! Not only the blog itself but the very helpful comments. Thanks to all. Quick question: if I grate my parmesan with a Microplane, how do I measure it? Do I mash it down into the cup, or just pile in the feathery cloud of cheese? Thanks. Mary — I’d press it down a bit or you’ll end up with a lot less cheese. 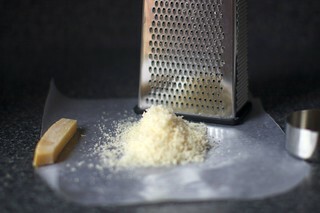 You can also grind parmesan up in the food processor, might save time. Mark Bittman knows his stuff. And sesame seeds sound like a great addition. But you don’t like Cheez-its?!? How can it be? Cheez-its (not Cheese Nips!) have been described around here as a little square of heaven. 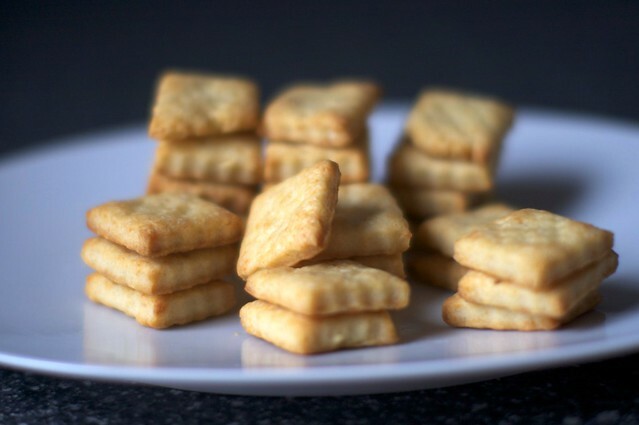 And coming from the land of cheese straws I’d have to agree especially when you can’t get around to whipping some crackers up yourself Cheez-its come in as a rockin’ second – or at least third. I’ve never tried baking my own cracker, but maybe I should, I’ve been having cracker issues lately. I had leftover gruyere and tried to put it on a Ritz, yeah, less then culinary delight. Perhaps self creation is the way to go. Girl, That little guy must be sleeping like ummm……a baby, if you have time to make your own crackers. My hat’s off to you! They look delish and I thank you for verbalizing the way I’ve felt about tablewater crackers for years!!! I wanted to like them but they are blahhhh! P.S. As far as the “too Martha” comments, I’d have to side with Deb. Did Martha invent no preservative, prepackaged home cooking? I’d like to think that before Cheez-its my great grandmother was at home trying to figure out the best little cracker in the world to please her family and friends. And there’s nothing wrong with that. Hey Deb, maybe in a few years people will start to refer to it as “too Deb” instead of “too Martha”? I made something like this just yesterday….except mine was a little more shortbread-ish so you probably wouldn’t call it a cracker. 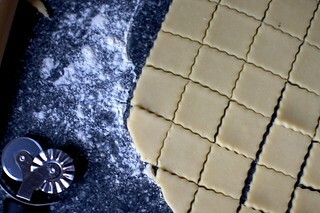 I think cutting them into little squares with the pastry wheel not only helps with the browning, but also the cuteness! I love the addition of cream to the dough–that must make them incredibly flakey. I spent some time making crackers recently; I think my favorite were the ones with sesame seeds added. What I’d really like to figure out how to make are those flakey, whole wheat crackers that Carrs makes–the ones that crumble just like cookies. And maybe even have a hint of sweetness? Yum. I had no idea that you could make crackers like this! Why must you do this to me?!? I was so set on making your cheese straws for my party tomorrow….and now I am torn. i agree with comment #53 that this post isn’t martha, only bec anything mark bittman posts as simple just isn’t the kind of martha “fussy” that i consider to be her sometimes beautiful but too fussy for me things. as a mom of a toddler and an infant who still cooks and bakes something daily, i love reading deb’s column, bec she makes it look extra palatable and photographs and blogs to boot! and #55, if you go to google.co.uk and type in recipes digestives — you should get some types of recipes for the carr’s that i’ve also been hankering to make and haven’t… i believe the secret is butter and shortening or all shortening, as opp to all butter. These look awesome! I’ve been wanting to make a batch of cheesy crackers for a while, so I might have to give these things a try. Also, I admit that I LOVE table water crackers. I have no idea why. Maybe it’s the weird name. I’m totally crazy about the black pepper kind and have, on occasion, eaten an entire box of them. I’m happy to love BOTH kinds equally, though! These sound perfect for a party, though I would have to “leave them out” in a kitchen cabinet or our kitty would jump on the counter in the middle of the night and eat them. And people wonder why I wash each counter at least twice before I cook even if they look clean. I think these look delicious though quite rich. #55, I also love those whole wheat crackers. I wonder if you could adapt these to add whole wheat flour, subtract the parmesan, and add a bit of sugar to get a similar effect. Those look so tasty! I just made cheese crackers myself for the first time. I used Nancy Silverton’s recipe for Cheese Coins – I’m storing the unbaked dough in logs in the freezer. They were amazing, although, I have yet to make mine as pretty as yours. I love your posts and will definitely try these. I am fairly new to your website, but I just love it…can’t wait for the next post to show up inmy inbox! Beautiful pictures! I am done with holiday sweets, but still have the time and desire to do some savory baking! Man..I’m all about Yay, Martha! I wish someone would say something I did was “Too Martha”. I’d be basking in pride! Isn’t the lead-in we see frequently on recipes, “People will think you’ve slaved for hours,” a good thing (sorry, couldn’t resist)! Homemade crackers are sooo good. Yes, it is extra effort, but it is totally worth it to have them in the pantry. It elevates even a mid afternoon snack of cheese & crackers to something special. wondering if i could use whole wheat flour?? We hate the dreaded “table water crackers, too!”. These crackers, though, look wonderful and I’m definitely trying them. These parmesan crackers look delicious and will try to make them tonight.Another use for my pastry wheel!! Over the holiday I did your eggs in tomato sauce and your boozy baked french toast for breakfast Christmas day. It was wonderful and everyone loved it. Had to show them where I got the recipe.. Thanks!! Too “Martha” my rear end. Maybe that just means they look like too much work? To me, they look absolutely worth the time and effort. I always thought that to make a cracker you needed conveyor belt ovens, robots that punch the boxes open then seal them, and a big factory. Well, well. Seriously – those are beautiful-looking crackers. Lucky bunch at your house. About an hour ago I checked in on your site, saw the photos – did a quick skim of ingredients and jumped right up to preheat the oven, way before I even got to the rubber band wrists. Now I’m cruising the comments while I munch on them! Next time I’ll try some sea salt on top, or maybe a saltier cheese like Romano (though maybe I didn’t push the parmesan down in the cup after microplaning) as I wish they were a touch saltier. These will be fantastic with a bits of cheese on them as an afternoon snack. I think people see certain things that they think look too perfect to be possible and label them “fussy”, or “too Martha” without realizing that they are so easy to do. Or see tools they don’t have and label that way, like the pastry wheel. As I used my pizza wheel I thought to myself “I should use a ruler like Martha would – nah, why bother?” Then when my crackers were all different sizes due to poor pizza wheel skills, I thought “hmm – sometimes Martha’s right about things”. Mine were perfectly cute, but they cooked at different rates, and having them all the same size would have helped a lot with that. 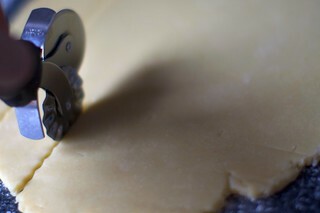 Your scalloped edges even cuter than mine though – your photos sure made me want that little pastry wheel! – who says cute is “fussy” or “too Martha” Thanks Deb for all of your great recipes! Lovely recipe, I love a cracker. Talking of crackers I have to wade in and say I love and defend water biscuits. Everytime I go back to london I have to bring back packets and packets of Carrs water biscuits http://www.carrs-online.com/history.shtml (the big ones) and Bath Oliver biscuits http://en.wikipedia.org/wiki/Bath_Oliver to Rome for us and our Italian friends (who are usually mercilessly critical of any food that isn’t Italian) Both are perfect with a little hunk of parmesan or soft cheese and a glass of wine. Maybe oneday you will reconsider the ubiquitous one and post us a nice recipe for water biscuits. My first thought about making your own crackers was that it was too much work for something so easy and inexpensive to obtain (maybe that’s what the “too Martha” commenter was thinking?). Then I realized that now you can control what’s in them–leaving out the trans fat, palm oil, and questionable additives for color, flavor, and freshness. Your adorable son, Jacob, will want to eat lots of crackers when he’s older, if he’s anything like my 18 year old son! Now we can all give in to this desire for a crunchy snack without ingesting questionable/unhealthy ingredients! yum, I definitely want to try these. I just made your cheese straws for Christmas Eve and they were a big hit. These are next on the list! Love the idea — think I’d add a bit of cayenne for extra oomph. I’ve made these delicious crackers a few times, but made a few alterations. I use whole wheat flour and it’s very, very delicious. I also use olive oil instead of butter and milk instead of cream because I have those things on hand. Both substitutions withstanding these are really, really good and make me feel better for my cracker addition. I will say that it’s a bit harder to pretty up the crackers the way I’ve made them. I have a pastry wheel now so theoretically I should be able to make them look lovely. The first few batches I made were all just blobby, delicious shapes. Cheers to cracker-making instead of wheat-thin-buying! I am a new Smitten Kitchen devotee, but let me tell you, it didn’t take long. I made your butterscotch sauce (and accidentally quadrupled the recipe instead of doubling it…tragic, right?) this weekend. I’ve always wondered how to make crackers and now I know. As a fellow water-cracker-hater, I thank you. Seriously, those things are terrible! Cheez-Its are a big hit with my three kids. I’ve been wanting to get a few healthy-but-still-liked-by-kids snack recipes. I have all the ingredients for these crackers, and I am going to try them tomorrow. I appreciate this post very much, not least of all because I, too, have pondered for many an hour about what makes a cracker a good cracker. Fat, appears to be the answer, whether it comes in the form of (“lowfat”) buttermilk or oil or butter or cheese– fat helps maintain tenderness. fo sho. I want to address your storage question/statement. For the clear plastic, look for “Lexan” or Cambro products. My husband has been making crackers for a year now, mostly following a Mark Bittman recipe as well (not typically the cheese crackers though). He’s not a big fan of the rolling pin, but has discovered that using the pasta roller to make even thickness crackers makes it a lot easier- plus sometimes one of the kids wants to help my cranking the handle. As far as being too Martha or whatever, that is just silly, we started making crackers to cut down on packaging and food costs. Plus they are yummy! We store them in a gallon glass jar and they last for at least a couple weeks, assuming they aren’t eaten that quickly. Ttime might be different for the cheese crackers. Deb, I hope you, your hubby, and your gorgeous bitsy bitsy baby are having a wonderful holiday season! I am allergic to soy, so I haven’t indulged my cheese cracker addiction in what seems like forever. So, I am definitely making these crackers. Mark Bittman’s “How To Cook Everything” is my go-to when I can’t seem to find a recipe for something. I can’t think why I haven’t searched out his cracker recipes before now. On the “too Martha” comment, it made me think about the SNL skits where they had her make dirt. (Last week, water-next week, air) When you bring us recipes for dirt, I guess I’ll say too Martha. But until then, I think you are in no danger. I think people consider anything that seems “fussy,” “too Martha,” as in “I don’t have time for that, and I’d rather buy a box of preservative-packed crackers or a bag of marshmallows.” However, I can tell you that I work more than full time on my own business from a home office, raise four kids and volunteer at their schools, teach violin lessons, and I have been dreaming up my own post-Christmas whole wheat cracker recipe. It’s all about what you’re passionate about and what gives you joy. Maybe for them it’s watching Desperate Housewives and Grey’s instead of spending time in the kitchen or the hour-long baths and spa treatments are the things they aren’t willing to give up. To them I say the back-of-the-box cracker topping suggestions? Those are the recipes you’re looking for. Enjoy. For me? Bring on the cheese cracker recipe. My kids need an alternative to Annie’s Bunnies and Goldfish crackers. I’m going to try it with mini cookie cutters. If I don’t have a food processor, can I do this in my stand mixer with my paddle? I too am a fan of Bittman’s collumn…and only because your blog introduced me to him! Thank you for that! Rachel Ward — I am sure it would work. Once you’ve made the dough, let it chill a bit before rolling it out. Be careful not to beat too much air into the dough or the crackers may spread. I’ve never left a comment before and am not even the kind of person who would be moved to make crackers at home, but seeing this post made me think that your son is going to grow up in such a good smelling home. Even now as a little baby, he is taking in all these smells and learning that is home. I think that’s a pretty neat gift to give him! I just tried this recipe, by the way. Made them to go with artichoke dip. They’re definitely on the Ritz side as far as texture goes, as Deb said. I sprinkled with sea salt but I think sesame seeds might be interesting, too. As always, thanks for the fun ideas, Deb. My Mom told me that double-baking makes crackers crispier. Would you recommend for this recipe? I made them a few hours ago: using a hand-held mixer and forgetting to make the little wholes. Still, they turned out pretty good in my opinion and absolutely delicious according to my mum; who at first refused to try “these empty calories” but after a while polished off a baking-sheetful of the crackers on her own. Deb, your photos are very helpful, better than a video. I’ve wanted to know how to make crackers since learning about trans fats. Thanks so much. Just wanted to say that these came out absolutely delicious. The dough was fine even with the paddle attachment for my stand mixer. I got about 50 crackers out of the recipe, and there were two left after a couple hours of my brother and I eating them. Thanks again, and I’m sure I’ll be making these again! Thank you for making me feel less alone in my dislike of Cheez-Its. My hubby has been taking crackers to work for lunch and it pains me to buy him preservative-laden crap, but that’s what he likes. I might test a batch of these out on him to see if I can convert him to homemade. If nothing else, I’ll get to eat them! I don’t get the “too Martha” comments or the Martha Stewart hate in general–she’s just too easy a target when there’s genocidal despots still out there. So she’s ambitious and likes to do “small” or “domestic” things well…and what’s wrong with that? If Deb were to make a fortune sharing her tips and recipes, would you hate her, too? No one’s mandated that the MS way is the right or only way and I love coming here for all of Deb’s generosity (all the time she spends writing, taking beautiful photos and sharing her life). When Deb makes ambitious things, it only serves as inspiration and only a small-hearted person would begrudge her. I love the pics of your boy. He is just tooo cute. See you made it to O magazine, way to go! Should we now try a recipe for a water cracker? These look delicious. I was literally just craving a savoury cheesy cracker the day I saw this recipe. Thank you thank you thank you. Will be baking up a batch tonight! A crazy question: possibly my favourite biscuits in the world are these Roasted Garlic and Parmesan ones from Arnotts. They are heaven. In the event that I want these parmesan-infused beauties to also taste garlicky… how would this be accomplished? Is it insane to actually put little bits of minced garlic in them? Garlic salt? Garlic powder? I’m pretty clueless when it comes to baking savouries. These look incredible. I can’t wait to try them! I think I’ve found the perfect snack recipe for air travel! I usually bake a batch of Korova cookies, but you need something salty too, right? Cream in a dough recipe is always a winner. Out of curiosity, how important is the unsalted butter here? And for that matter in most of the recipes? Do you think that really matters? I ask because we always buy salted because I like it better for spreading. Should I be buying unsalted for cooking? So far, I’ve always just used salted and never even adjusted the recipe, but it just occurred to me that might not be the best idea. Amber — If you use salted, just dial back the salt by 1/4 to 1/2 teaspoon. Too Martha? Do people leave comments on woodworking blogs that say “Too Norm” ? My favorite crackers are $4.50 for a small box, so I don’t buy them often. I hadn’t really thought about making crackers since I’m not much of a baker but this doesn’t look hard. I’ll give it a spin for NY eve’s spread! I have been so busy lately- have only peeked at your recipes ( and hoping for a cute baby shot)! Anyway, these crackers look yum but moreover how do you do it? I live in a 4500 square foot home and my kitchen seems too small and I try to limit my stuff for all my “recipie-ing” I can’t fit the wok with the tagine with the mini chop and I still lust for a stand mixer since the holidays caused major flour/sugar splatter. Most of all, your pictures are amazing!!! My 7 year old and I tried a series of pics with some yummy brownies and no go! My 11 year old said I should do a blog like you-I know better. Since you make food look so great, maybe you could take some pictures of me and I will be famous-ha ha. Happy New Year! Keep up the amazing work-both taste and the amazing visuals!!!!! These look amazing and precious at the same time. I can’t wait to try them. These look awesome! I made these last year and did have trouble with puffiness, but found that it went down a bit after they cooled. Yours certainly look better than mine did, I will have to try baking them individually. By the way, I stumbled onto your site looking for a recipe for icebox cake, and just keep coming back! these look delicious! i’m going to try these very soon! do you think whole milk will substitute alright for the cream? i have some cream to use up but might have to make up for it with some whole milk. thanks for another recipe to try! I made my first batch of homemade crackers just last week to share with family on christmas eve—looking forward to trying a new recipe. Thanks so much for this recipe Deb! I made up a batch (by hand, unfortunately for my arms) this afternoon using a combo of parmesan and manchego and gluten-free flour and some xanthan gum instead of regular flour. If you think eating water crackers is bad, try limiting yourself to rice crackers, so boring! I just made these and they are so good! It’s crazy that we all have it drilled into our heads that making crackers is so hard when it’s astonishingly easy. I’ll definitely be making these again! I am making them now to take to a New Years Eve party. First batch just came out of the oven and they are delicious! Wow. Thank you! Add food allergies to a whole-grain philosophy, and recipes like this are a godsend. I get to see how the store-bought food is (should be) made, and then make my adjustments to get a taste I miss. AND I get to feed my kids healthy food that’s not “health food” and share in the experience. Too Martha, bah. A resource for the ages! an aside on the “too Martha” comment: cooking is a form of art, and an opportunity for creative expression, and whether you’re making crackers or entrees or wedding cakes or food for the poor, any attempt to make something nourishing in your own home is valiant! I have been teased for making my own crackers in the past- but they’re far better, and better for you, than anything the food industry people are cranking out. (Seriously, read the labels, they’ve started sneaking MSG into my Triscuits.) You GO, Deb- your blog is fabulous. These were too easy to make! What a fun recipe. Tasty, simple and home made crackers. I will have my with cheese, please. These look wonderful. I’ve made some like these with cheddar cheese. Can’t wait to try these. You make your own crackers? This confirms what I have long suspected…you are in fact a robot, Stepford Wife. Made these today, substituting Cougar Gold cheese (aged hard white cheddar) I got for Christmas. They are beautiful and delicious. I’ll definitely have to get myself a fluted pastry wheel to make nicer edges if I make them for company. These look fantastic! I particularly appreciate the fact that making your own crackers means you can control what is going into them. After picking up box after box on the supermarket shelves only to look at the ingredients and swiftly return the box to the shelf, I can’t wait to try these! Crackers are on the list of things I have yet to attempt and now I am looking for an excuse. I made these this morning…BIG HIT! We liked the light crunch and cheesy/salty taste. Will definitely be making these again. These look great and I am tempted to try the recipe. Deb, this is probably a mind-numbingly dumb question but what does it mean to “dock” the crackers? Is that what you do to shortbread – puncturing holes in the dough with a fork before baking? Maris — Yes, absolutely. You poke holes so that the dough releases some air and does not rise as much. Just made them. The timer is dinging as I type. I wondered a bit why no pinch of soda or baking powder to make bubbles, but I can see it’s pastry dough. Yum. Just took them out. The parmesan baked a darker color so they are speckled. Haven’t tried them too hot, but they smell great! just tried one. No salt on top with the cheese and salt in the dough. Good call on my part. Taking them to a friend’s house for dinner. Thanks. my husband and i went away for the first new year in three years since having our twins. we had all types of great meals planned including a nice filet (we used the recipe from holiday entertaining in the cook’s illustrated pub)(superb). and we planned for the mushroom marsala. happy new year to you and yours. i look forward to even more inspiration. starting with the brisket. yum. I made these. I’d like to say that I’m kicking them out of the park, but I don’t have a food processor so I’m using my potato masher as a pastry blender. Works for pie crust…worked well here, too…the first time. The writeup is on my blog, but to make a long story short: the first time I used cold butter and made them like a pie crust. I didn’t dock them through all the way, though, so I got little 1/2″ high puffy rectangles of not-quite-done-in-the-middle deliciousness. The second time I used room temperature butter and buttermilk, but they seemed tough and not at all flaky. I’m going for flaky, tender crackers. Third try, which should be soon, will be cold butter and buttermilk with a nice rest in the fridge between making the dough and rolling it out. I’ll comment again when I get it done. Overall, I really liked the crackers. We finished most of them in the 24 hours since I made them. I made these twice, and they are so puffy and tender, my friends call them cheese puffs. I docked them and made sure they were cooked enough, but they were not very cracker-like. Yummy, but not crispy or anything. I added some cayenne the second time and a little paprika for color (I love cheez-its and they have paprika). They are super easy and nice with wine. I tried these this afternoon, and they are great. I even made two batches because I wanted to try cheddar and black pepper (with the black pepper in the dough)…both delicious. Mine didn’t exactly come out like crackers, more like cheesy pie crust, but that wasn’t a bad thing. I also made them without the food processor (it’s just too much work to clean it..no dishwasher here). I wish that I had baked them a bit longer so they would be crispier, and they came out kind of tall for a cracker. How inspired! We go through an ungodly quantity of crackers with two three-year-olds in the house, and I’d much rather they get fresh stuff than nonsense out of a box. I’ll have to try these. I finally had a chance to make these. It’s about time for I needed something snacky while trying to get over post holiday sugar withdrawal. YUM! And so easy. I have no idea where the martha comments are coming from ’cause these are easier than pie or bread or cookies or muffins, etc. I can’t believe I never made crackers before. I made mine with whole wheat flour and extra sharp cheddar. I had no cream so I used whole milk. A sprinkle of salt on top would have made this version better. Yeah, I totally messed with the recipe but the result beats anything out of a box by far. These crackers are the bomb. I made them and pretty much ate half of them with my mom’s help right after they cake out of the oven. They are very similar to cheez-its except they’re actually good and they don’t leave you with that hydrogenated fat “I’ve been in this box for 2 years ” sour greasy after taste. keep up the good work I love your blog and have at many times considered writing poems praising it. Yum! Consider this recipe bookmarked! They are just too cute. Next time I make soup I am serving these alongside. Can’t wait. I LOVE these crackers! Be sure to put a copy of this with gluten-free flour in your GF listing. That’s how I made them and we can’t get enough of them! Thank you for this recipe. Just discovered your site today. My son is allergic to eggs and soy and nuts, and everytime his siblings eat store-bought crackers, he can’t have any because it contatins some sort of soy! I will surely give this a try very soon! Happen to buy some parmesan yesterday, need to get some cream now! They look really yummy! Just got a batch out of the oven…they are HEAVENLY! Not too cheesy, very buttery and flaky. Martha-ish or not, these are great. Thanks for sharing this recipe Deb. These are awesome! So easy to make and so yummy. These turned out amazing!! I was worried about messing them up, but they were so easy to make. Mushed the dough together and even rolled it out unevenly but they came out tasting fantastic. Thanks! Typical Mark Bittman. Wonderful recipe, sloppy or missing instructions. I’ve made something similar for years with equal amounts of cheese, butter, and flour. Thanks for sharing this! I’ve made these a few times now and they are delicious! thanks for sharing!! My version uses sharp cheddar, pecans and cayenne…………….yum. Think I’ll make yours today….cold and dreary here. I’m feeling like red wine and nice crackers….. YES! Homemade cheese crackers are the best. I’ll defiantly try this recipe sometime. I usually stick with sweet rather than savory, but these look tempting. AMAZING! Quite possibly my favorite cracker. They are awesome by themselves but I served them with Ina’s sun dried tomato dip and it was a heavenly combination. Thanks! wow! these are fantastic and super easy to make – thanks for the recipe! If you, like me, haven’t a food processor, try grating the butter into the dry ingredients, and then using a pastry blender to finish blending it in. Worked like a charm, and saves the arm(very sorry about the rhyme)! I also used fresh milled flour in place of the all purpose, and they turned out divine! I can see so many different possibilities with other cheese/spice combinations! Thanks for the recipe!! Oh my dog! I made these tonight…served with a goat cheese/pecan/bacon/basil spread. AWESOME….I forgot to buy crackers…with company on the way, I quickly mixed and popped in the oven…major hit. Thank you…I’m so glad I remembered this post. This was so easy and delicious. I made this tonight with gluten free flour and used natural yogurt instead of cream. They are so delicious, I have to steel myself away from polishing off the lot in one go! Just finished a batch of these crackers, and they are unbelievably delicious. In fact, the double batch didn’t quite yield double the number of crackers, since so much of the dough ended up in my tummy!!! The only thing I’ll change for next time is that I think I’ll cut them into circles, so that there aren’t any corners to get almost-burnt. My bizarre, teeny-tiny convection oven overbakes very quickly and easily, especially corners and edges. Circles would have no corners! Just made these last night and they were amazing! My roommate and I finished off the whole batch and she is begging me to make some more! Such a fun thing to say that you have made your own crackers. I made these last night and they were wonderful! I had both parmesean and romano cheese and opted to use the little dab of romano I had left in the fridge. It yeilded about 2/3 Cup of cheese grated with my micro plane. I used all of it and the flavor was outstanding! I will make these again! I have found that storing crackers (cheese straws in particular) in a tin instead of a ‘tupperware’ or glass container keeps them crisp. Hi Deb, I’ve made these crackers many times as my family loves them. However, tonight on a whim, I decided to make them with chickpea flour and they turned out really well. I have multiple pounds of chickpea flour….I was sure I was going to make TONS of battered paneer :P….so I need to get rid of some. Oh and instead of using cream, I used sour cream thinned with some water (I didn’t have milk). They have a slightly different flavor…maybe nuttier? But overall they don’t taste much different from the original. I was thinking of experimenting with ghee next time. Thanks again for sharing the recipe. I’ve been making this recipe for a while now, but yesterday as I was making a batch I was called away before I could bake them. I rolled them in some parchment paper and froze the dough overnight. Took them out of the freezer today and sliced them into thin coins and they baked up like the most delicious ritz crackers you’ve ever had in your entire life. I do make my own crackers but I haven’t made these ones. Thank you for sharing the recipe. It looks delicious. I’m pinning it for future reference. Landed here via the great gateway-to-home-made-crackers tool: the pasta machine. It wasn’t straight forward to use it for this recipe, but undeterred, the first batch went four times through on the #1 (thickest) setting and finally held together well. The 2nd batch, with dough having rested for 10 or 15 minutes, went better still (only two times through before producing a coherent cracker slab), and the third, just once. No pasta wheel in the house, used a bench knife to score, and they came out great even with the substituted buttermilk for cream. Look forward to perusing your blog for more recipes to try. Thank you so much. I just made these this past weekend as an appetizer to take to a small gathering at the Lake. they are so quick and easy I was able to whip up a double batch that morning. I did as you suggested and left them uncovered until we had to leave. I think they may have been the simplest dish there, but they were definitely the biggest hit! At least 3 people asked for the recipe. Thanks! Surprisingly few cracker recipes on line. This was the one I picked and I am very glad I did! Very fun to make and yummy! Thank you! I have been searching everywhere for a cracker recipe like this one. It looks perfect and I can’t wait to try it! Thanks for the recipe! I just made them and they turned out great. Even my boys loved them. My oven ran a little hot and the edges got a bit overdone, so for the second batch I had to turn my oven to 375. Still baked them for about 12 minutes and they turned out great. For the last batch I mixed together onion powder, garlic powder, thyme and crushed basil leaves. I used a pastry brush to wet the top and sprinkled in on. I loved the flavor. Thanks for sharing, I just started coming to your site. I’ve made your graham cracker recipe before and I have to tell you I could hardly stop indulging in them. They were fantastic. Have a good day! Hooooly omg. Been using this recipe as the base of many cracker recipes over the last few years, but I just subbed in sour cream and a healthy pinch of paprika and cayenne for these and nearly died. I live in Champlain Valley, so I used freshly milled whole wheat flour and a local tomme. Everyone at our community potluck loved them! The whole wheat gave them a nutty/caramel flavor, and the cheese enhanced the sweetness. Also, added a dash of black pepper. Repeating them on Sunday (with local labneh) for coffee hour at church.